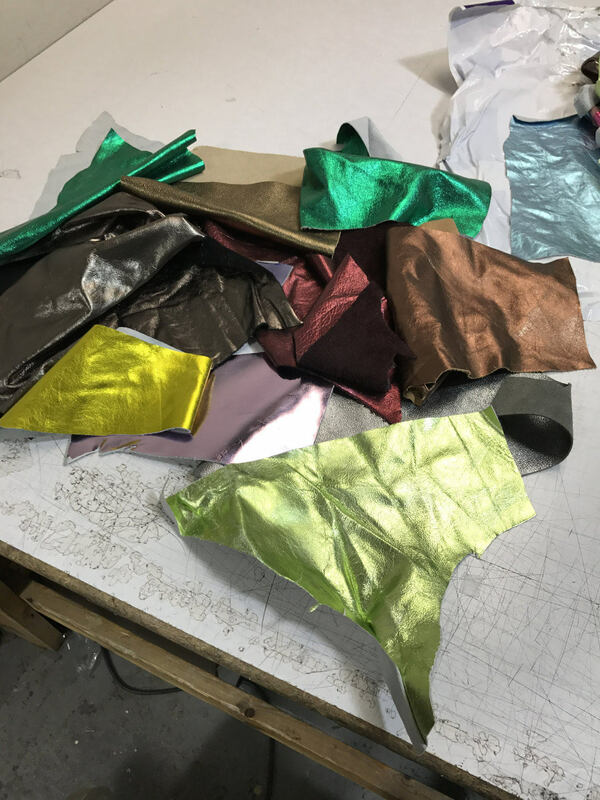 Please note the swatches pictured are some of our metallic leathers. Scrap packs are filled at random. 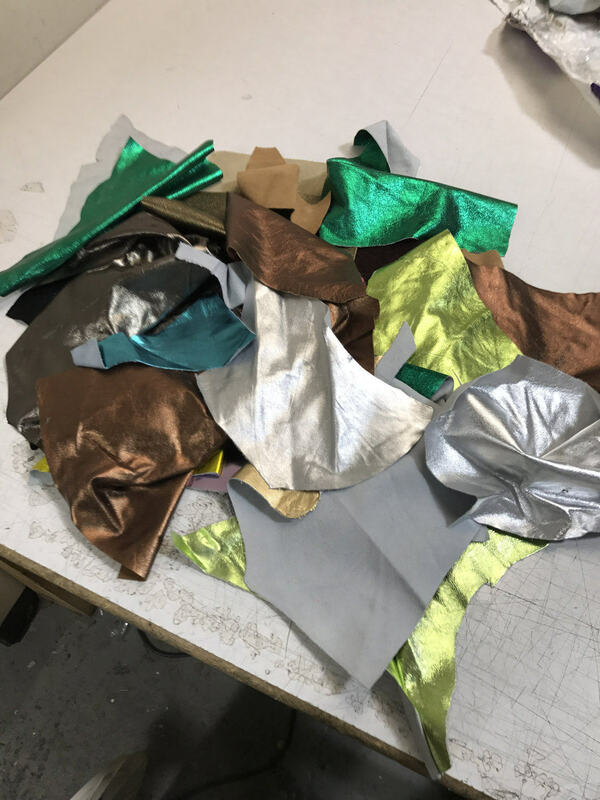 We cannot promise any specific color is included, but this is a good idea of the range of metallics we offer. 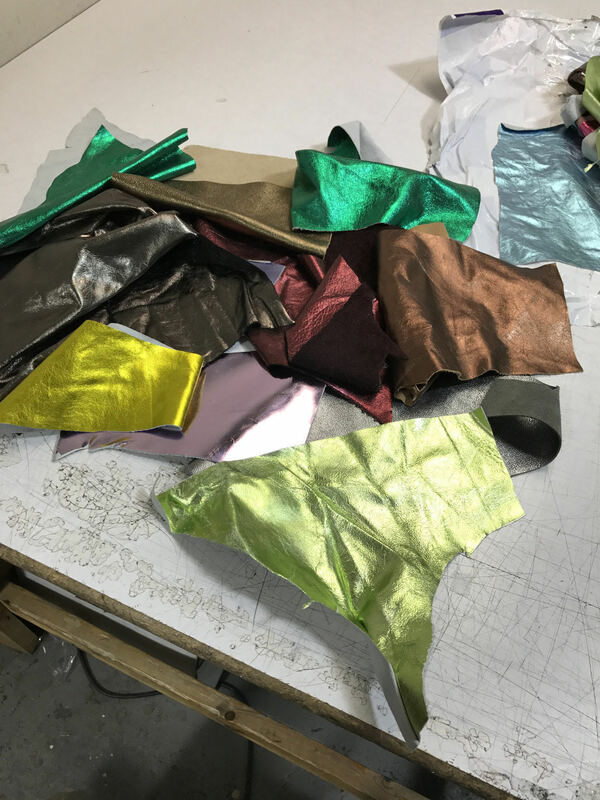 You can expect at least 5 or 6 colors in a USPS Padded envelope (9X12). 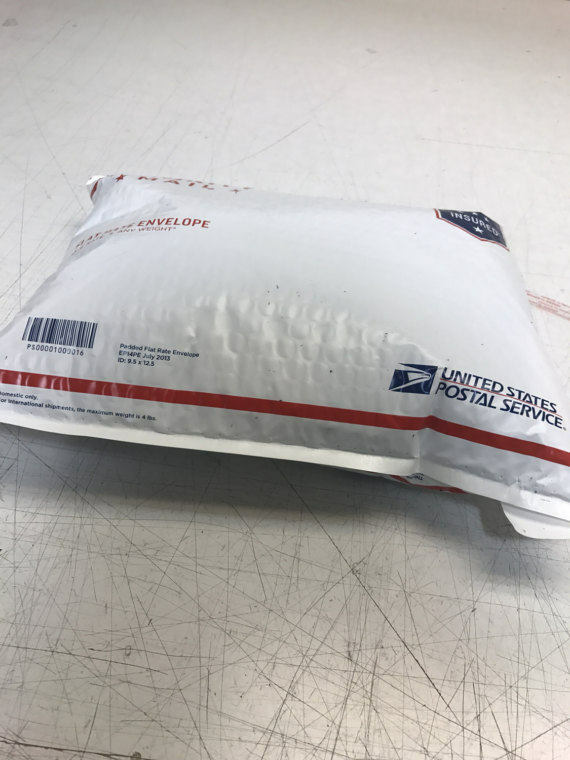 Pricing is for a 9'' X 12'' USPS pouch. We fill each pouch to CAPACITY. Thank you to the shop for sending this order out- I enjoyed seeing the great variety! Good communications also. Thanks again! 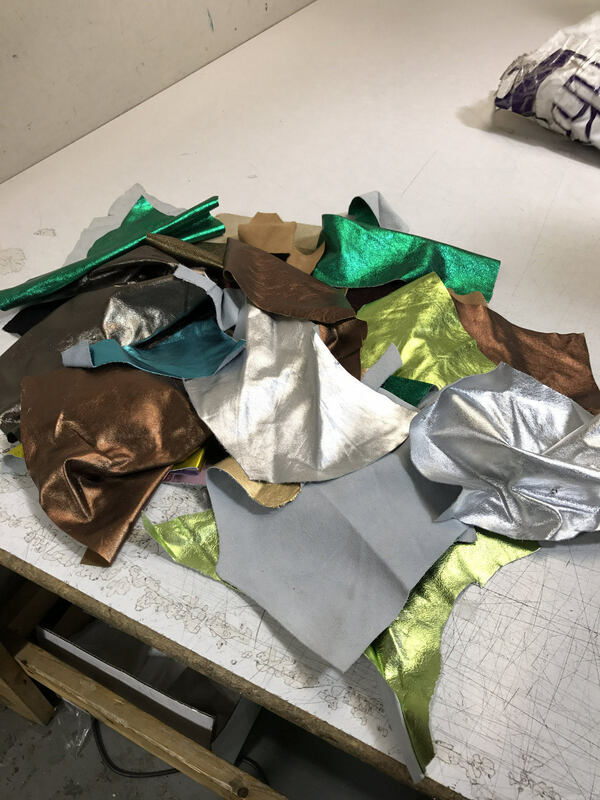 I got several lovely pieces of metallic leather that will serve my purposes very well. I will buy again!